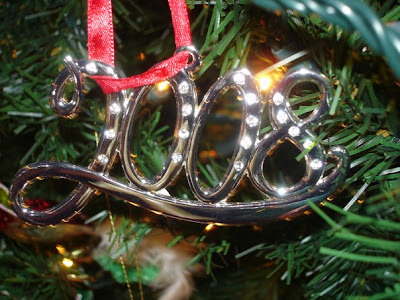 My Husband's Cancer & Starting Over: 2008 End of Year Wishes! As our family nears the end of 2008, we are very thankful for the blessings we have received over this past year. For one day you will look back and realize they were the BIG things. Everyone reading this who has been affected by cancer can certainly relate to these words. Over this past year, I am very grateful for those who have taken the time to view my website. I trust you have found inspiration to continue your journey with cancer through some of my posts as well as the music selections. For me, my goal of reaching out to those who travel similiar roads, has been met many times, as I've been fortunate enough to connect with other cancer patients and caregivers who together have created this community of support, encouragement and information when we need it most. It was just today that I received an email from one of my online caregivers who stated that she was very glad we had met this year because as she said "I know u know what I mean"...and this is so very true. Only those who are affected by cancer whether as a patient or caregiver can actually relate to how each of us get through the difficult moments. As my song selection indicates, I trust that as you enter into 2009, each of you will Celebrate Life to the fullest, despite the difficulties that you may encounter along the way. Have faith, change will come. Yeah, Yeah! Hey. Celebrate. Life. oooo oooo. Happy New Year to you, Deb, Willard & Family!Your web site is GREAT!even if you don't have words,you have music which is very up lifting and I would like to thank you because we don't always have good days! Thanks for continuing to be such an inspiration to myself and many others in this journey.